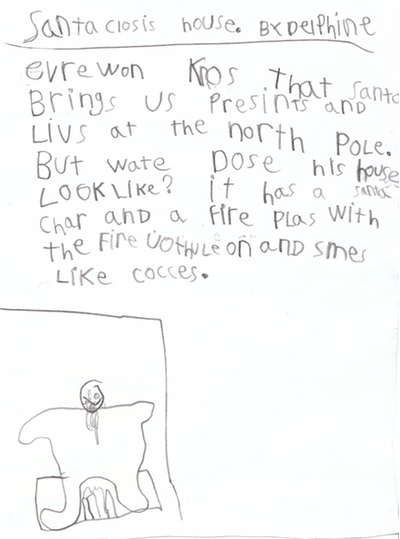 Delphine Writes About Santa | Blog-O! Everyone knows that Santa brings us presents and lives at the North Pole. But what does his house look like? It has a Santa chair and a fireplace with the fire usually on and smells like cookies. I have no idea where she learned that rhetorical question structure, but I think it's brilliant! Also apparently "usually" is very hard to spell.